LSE Cities and the MacArthur Foundation invited me and the smart e-bikes project to their Foresight Seminar ‘Urban Governance Futures: Scenarios for London’ on 16 June 2014. 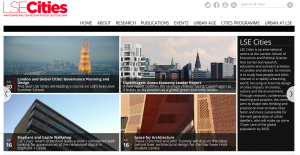 I’m particularly interested in their focus on the role of big data and real-time information in relation to the establishment of new urban governance processes and structure in cities. The seminar’s specific case study is urban transport in London and I look forward to contributing a smart e-bikes perspective. Invited Keynote at the “Audio Mobility” Symposium, organised by Locus Sonus, a research group at École Supérieure d’Art d’Aix en Provence and École Nationale Supérieure d’Art de Bourges. Aix en Provence, France, April 16-18 2014. I’m invited to the ‘academy’ of “City, Religion, Capitalism. Turning Points for Civilization” 3-6 April 2014 in Berlin. A joint project of Haus der Kulturen der Welt and the Alfred Herrhausen Society, in cooperation with the LSE Cities project Theatrum Mundi and dctp – Development Company for Television Program. With filmmaker Alexander Kluge, Richard Sennett, Saskia Sassen and others. 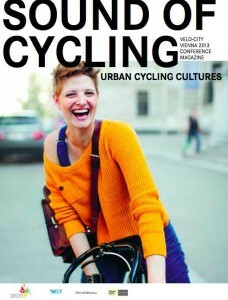 Based on the conference presentation ‘The Sound of Cycling’ that I gave in Vienna this summer, I was invited to write a short piece for ‘The Sound of Cycling: Urban Cycling Cultures’, the Velo City Vienna 2013 Conference Magazine that has just been published. Check page 10-13. This is a bit of a teaser for some new research I’m working on. Invited to present at the EPINET project’s ‘Making sense of wearables: new-emerging markets and mediascapes‘ workshop in Brussels, 5th November 2013. Accepted paper ‘Making Cycling Sound(s)’ at the European Sound Studies Conference (ESSA), Berlin, 4-6 October 2013. 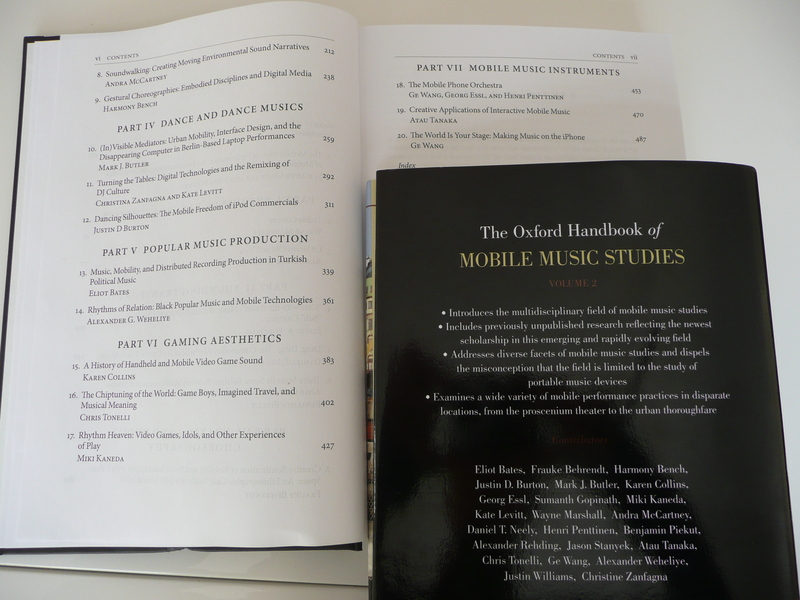 Invited paper at a Music, Digitization, Mediation: Towards Interdisciplinary Music Studies (MusDig) conference, University of Oxford, 11-13 July 2013. Accepted to present a paper on ‘Smart e-bikes: A New Richness of Data” with Sally Cairns and David Raffo at the World Cycling Research Forum (WOCREF) 2013 in Bristol, 5-6 September 2013. 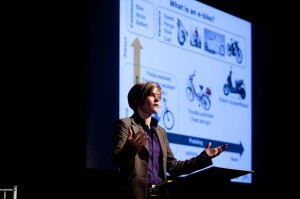 Accepted to present a paper on ‘Electrically-assisted bikes – a way of mainstreaming cycling to work?’ with Sally Cairns and David Raffo at the Velo-city Conference in Vienna 2013, 11-14 June 2013. 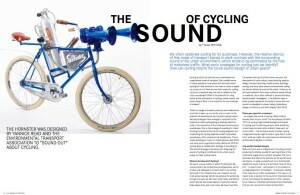 Accepted to present a paper on ‘The Sound of Cycling – The Politics of Performing Bicycles, Bodies and Cities through Sound’ at the Velo-city Conference in Vienna 2013, 11-14 June 2013. “Using electrically-assisted bikes: lazy cheaters or healthy travellers?” Invited Guardian Blog Post, 14 May 2013. Invited talk at the Sonic Interaction Design Symposium where the MIT Press book on Sonic Interaction Design launches. ETH (Zurich), 2 May 2013. 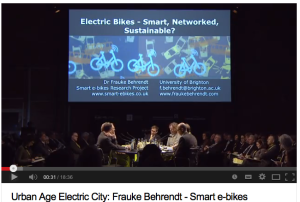 Presenting the smart e-bikes project at the Active Travel Forum, Brighton & Hove City Council, 7th November 2012. I’m teaching a session on e-bikes in Sue Roberton‘s studio on the MA Architectural and Urban Studies, University of Brighton, 6th November 2012. Theatrum Mundi has posted my reflection on ‘Mobile Sound‘ on their blog. intersection of mobile media and electrically-assisted cycling’, accepted paper at ECREA (European Communications Conference), Istanbul, 24-27 September 2012. Published: Frauke Behrendt (2012) Playing the iPhone. 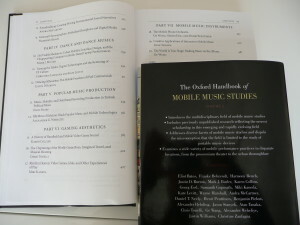 In: Snickars, Pelle and Vonderau, Patrick (eds) Moving Data: The iPhone and the Future of Media. New York: Columbia University Press: 297-295. 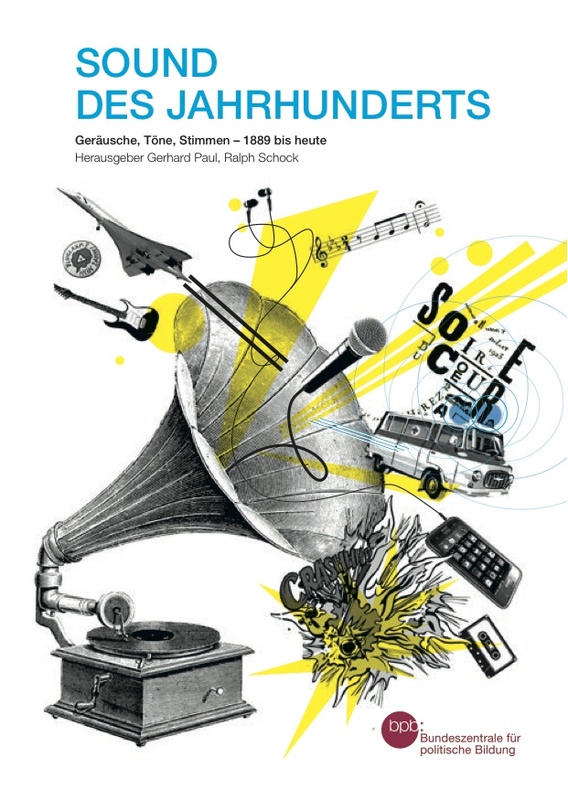 Out now: Frauke Behrendt (2012) The sound of locative media, Convergence 18 (3): 283-295. 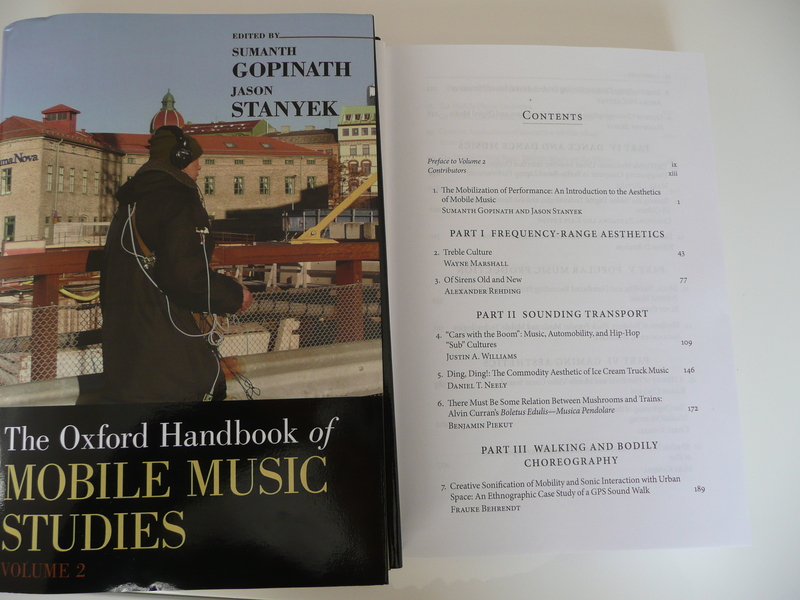 Presenting ‘Auditory edges and media ecotones: Framing the mobile listening experience in GPS soundwalks’ at The Global Composition. 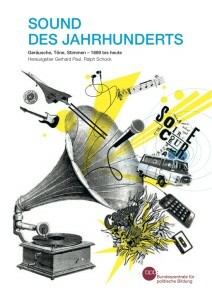 Conference on Sound, Media and the Environment. Hochschule Darmstadt, Media Campus. July 24-28 2012. 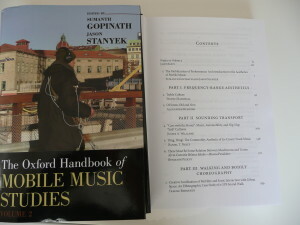 ‘The sound of locative media’, invited talk at Locative Audio, Manchester, 29 June 2012. ‘Bicycle enlightenment‘ invited blog post for the Open University’s Open Learn Blog, Geography. With Peter Wood. 30 May 2012. Invited to join Richard Sennett’s Theatrum Mundi as Fellow. The Sonic Interaction Design Exhibition is featured: “The latest issue of COST News provides some summer reading on the very first science exhibition organised by a COST Action” and there is another article in an engineering magazine, google translated. 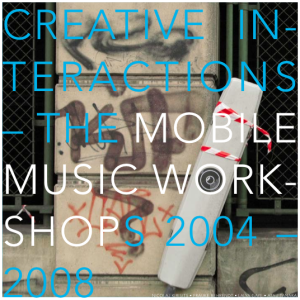 In connection with NIME 2011 (The International Conference on New Interfaces for Musical Expression), I’m co-curating an exhibition on Sonic Interaction Design in collaboration with the EU COST IC0601 Action on Sonic Interaction Design (SID). I’m organising this event on 17/05/2011, at CoDE: The Cultures of the Digital Economy Research Institute at Anglia Ruskin University, Cambridge. Zurich University of the Arts, Zürich, Switzerland. In collaboration with the ICST Institute for Computer Music and Sound Technology, and the IAD Interaction Design program. For earlier activities please refer to the talks and projects pages, and there is also documentation on my flickr page and my blog.